Michael Newton Managing Director of Mfushane Holdings (Mauritius) (Pty) Ltd is an astute businessman operating across the global business platform but remains a Pinetown boy at heart. Mike's Isitakazelo (IsiZulu praise name) is 'Mfushane', which means 'short man'. While seemingly disconcerting, this name has been affectionately used by his colleagues for many years, and as such it was deemed fitting to name the company after the praise name given to him by his peers. 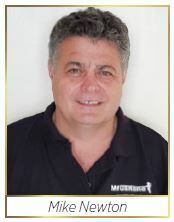 Mike matriculated from Pinetown Boys High School and went on to obtain a National Diploma in Civil Engineering, followed by a National Higher Diploma in Civil Engineering and culminating in a Masters Diploma in Technology, Civil Engineering and Water. Mike's gift for business management led him to a number of advanced financial and business programmes, culminating in a Masters Degree in Business Administration. Mike is registered with the South African Engineering Council Pr.Tech (Eng), the South African Institute of Civil Engineers (SAICE), the Water Institute of Southern Africa (WISA) and has served on a number of committees. Mike is a passionate musician and accomplished bass player and has spent several years managing and playing in a band. Mike's last positions before embarking on his Mfushane journey were with the Ilembe Regional Council / King Shaka District Municipality / Ilembe District Municipality. During this time, he fulfilled the roles of Director, CEO, Municipal Manager and HOD of Enterprise iLembe. Mfushane Consulting Services (Pty) Ltd was established in 2012. The strap line for the company 'You can lean on us' takes homage from the fact that over the years, many organisations have found it beneficial to engage with and trust the Mfushane team to get macroeconomic projects successfully up and running. Mike served as Special Advisor to the Premier of the KwaZulu-Natal Provincial Government, Senzo Mchunu, for two and a half years up to June 2016. His primary role was assisting the Premier in the execution of his mandate at the forefront of the Office of the Premier, dedicated to service delivery around economic matters specifically. During 2016, Mfushane became fully functional and has grown to a group of companies, with affiliates from all corners of the globe, and focussing predominantly on macroeconomic development, which marries to the National Development Strategy of the country within which the project is situated. The Mfushane Group includes several highly skilled professionals who have come together to deliver a first-class product to the client. This structure ensures that Mfushane is able to provide the best professional service possible, spanning many different fields of expertise, at cost-effective rates. Based on the need and skill requirement of the project, specialists are placed into a special purpose vehicle (SPV) for the project and focus specifically on the project scope, the steps to get it to fruition, and implementation of these steps as per the client requirement. Every project is different or arrives at the table at a different stage of development. In September 2017 Mfushane established a strong presence in Mauritius, with a separate holding company being added to the Mauritius stable. Early this year, Mike secured the company's business hub at a gracious, old, colonial hotel at Baie du Tombeau with plans to, in the near future, operate fully out of Mauritius. This is based on the country's secure financial backbone and its excellent base from which to access sub-Saharan Africa, as well as its access to the new logistics platform opening up the Asian countries in the East. The Mfushane Group of companies aims to provide a premium one-stop-shop for investment, initiatives and project rollouts and to become the leading partner in assisting companies, individuals and entities to find international opportunities, which will allow them to grow in harmony with that country's National Development Strategy. 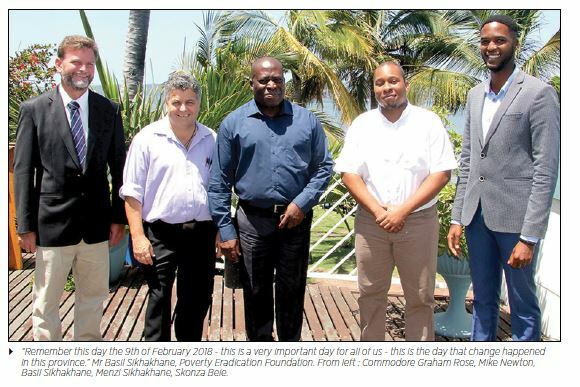 Early this year, together with the Poverty Eradication Foundation, Mfushane held a strategic launch celebration at the Royal Natal Yacht Club. Mike presented Mfushane to the public, professional associates and the press and, amongst other projects, presented the exciting KZN Marina Project. This initiative will see numerous local community members, living near our coastline, participating in the running and administration of small marinas located strategically north and south of Durban harbour. The Mfushane Group of companies wishes to become the leading partner in assisting companies to find international opportunities which will allow them to grow in harmony with that specific country's National Development Strategy.